Let us explore some traditional interpretations of combat trauma that illustrate soul wounding and give direction for restoration. The Hopi people call trauma tsawana, meaning a state of mind that is in terror.” The Hopi name the condition directly; the mind and heart are frozen in the terror of traumatic experience as if it were happening in an eternal present. Since the traumatic wound is this terror, healing our war wounds is Qa tutsawanavu, living in a way not intimidated by terror. The warrior learns once again to live as King David when he rediscovered faith: I will fear no evil … ” Warriors learn to act with courage, as Hemingway said with grace under pressure,” or Colonel Henderson, with … the willingness to act in the face of fear.” The warriors’ spirits grow larger than their fears, confident they can master the ordeal and not be crippled by terror. A Hopi woman soldier, Lori Piestewa (White Bear girl) was the first Native American to die in recent wars and believed to be the first Native American servicewoman killed in foreign wars. The daughter of a Vietnam veteran and granddaughter of a World War I vet, she was following both her people’s and the American warrior lineage. There is a long tradition of Hopi women taking part in raids and defending villages.” Caught in the same attack during which Jessica Lynch was captured, Lori drove her truck trying to get her battle buddies out of danger. She died without firing her weapon. Her friends and family increasingly opposed the war and were pleased that Lori did not harm anyone, ‘the Hopi way,’” her father proudly said. The Lakota called trauma nagi napayape, meaning, the spirits leave him.” Trauma was that condition in which the spirits left the person so that the body feels like an empty shell. The worst cases of shock come not only from physical processes but also from seeing such horrors that the soul flees the body. Many warriors report such experiences. Art, a machine gunner at the siege of Khe Sanh, reported his soul’s flight during a firefight in vivid detail. Healing can occur when the village people gather to call the lost soul back or a shaman journeys to seek it. Reverend Jackson, who had served as a chaplain in Viet Nam, returned with us thirty-seven years later. He asked our group to surround him on his old battlefield where my heart went dead.” Together Americans and Vietnamese called for his soul to return. It was a clear, quiet and sun-drenched day. As we cried out together, lightning suddenly flashed and exploded on the mountaintop opposite. The Xhosa people of South Africa believe that a warrior leaves part of his soul on the battlefield with the souls of the fallen. The warrior cannot reclaim his own soul without making peace with the dead of both sides.To the Xhosa, Professor Brooke explains, Kanene (k-u-n-e-nn-y”) is the warrior’s insight into the depth and burden he carries, following him like a shadow reminding him of what he has done.” Healing occurs through direct community-based response to this burden. It entails being forgiven by both the living and the dead, including the enemy dead. The Xhosa healing ceremony called Ukubula (Oo-koo-boo-la”) is a confessional telling of what you have done before the community. The community’s role is to tolerate the pain of listening, no matter how difficult. The community carries the burden and pain of what happened and the warrior is forgiven and healed from private suffering.” Professor Brooke points out that the Truth and Reconciliation Commission hearings in South Africa that helped the country heal from apartheid were national practices of ukubula. Ukubula highlights the critical role the community plays in listening and witnessing horrors without judgment and welcoming the trauma survivor back into community after confessional cleansing. Among the Shangaan,A man who kills another, even in war, must build a hut with the name of the dead. He must keep it maintained for the dead’s spirit. His own daughter is then married” to the deceased man. She must look after the hut as she matures. If she falls in love or wants to marry, then she and her father must ask permission from the dead enemy for her to be allowed to marry. Shangaan practices demonstrate the lifelong intimacy that occurs as a result of taking a life, an intimacy many contemporary veterans feel but are at a loss to complete. Their practices also express, Brooke observes, a truth we see in our families every day. Daughters are imprisoned by their father’s wounds, unable to live their own lives until their fathers have been released by the spirits of the dead.” We heard this same lesson from Greece in Agamemnon’s sacrifice of his daughter in exchange for winds to sail his fleet to Troy. Jae-sung Chung was a first lieutenant in the Republic of Korea Army. He served as liaison officer attached to U.S. Army headquarters in Vietnam from 1970 to 1971. Jae explains, To maintain sound health, individuals must be free from such han as worry, anger, resentment, sorrow or regret. This applies to everyone, including the men and women in uniform.” Although people face different challenges, Koreans recognize that each person must be able to get rid of accumulated han. In the Korean military, soldiers are periodically educated about han by commanding officers and chaplains. On weekends ROK soldiers in military camps commonly attend church or temple to receive character guidance education by chaplains or Buddhist monks along with the respective religious service. In addition, soldiers are taught about han by their commanding officers through Troop Information and Education (TI&E). Belief in and care of han is common in the South Korean military. Jae believes that the majority of soldiers will resolutely manage their spiritual attitude of han.” The military itself tries to set han right. Within the military Christian chaplains and Buddhist monks do their best to heal han. A cease-fire was declared in 1998. There was so much grief, loss, remorse from the extreme violence and bloodshed among traditional families and friends that the only way to rebuild and establish unity was through a reconciliation ceremony.” The local people spent three years discussing the crisis” and how to reconcile. They finally came together on the island’s northwest coast for a ceremony that included preparing special foods, wearing sacred garb, sharing losses and decorating the community with flowers to chase away negativity and attract sweetness. 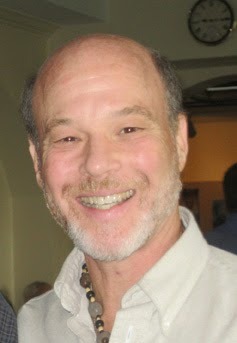 A practicing psychotherapist for more than 30 years, Tick specializes in extensive and innovative work with survivors of severe trauma and violence — particularly combat war veterans — sexual and Substance Abuse victims, those with severe mental and emotional disorders, men’s issues and deeply rooted psycho-spiritual healing. In all of his work, Tick applies his own innovative model of PTSD treatment based on worldwide research of spirituality, mythology and war/the warrior archetype, in order to develop a new, broadened and strengthened psycho-spiritual identity. This entry was posted on Saturday, November 12th, 2016. You can follow any responses to this entry through the RSS 2.0 feed. You can skip to the end and leave a response.